It’s Country Music Marathon time, and you know what that means. 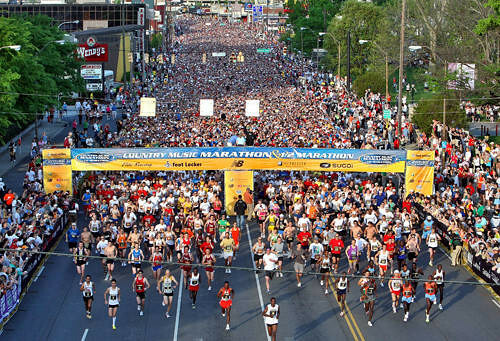 30,000 friends, family and complete strangers will be taking over the streets of Nashville on foot for about half of the day on Saturday. Whether you’re running the marathon or heading out to cheer someone on, you’ll probably get caught up in some pretty nasty traffic if you don’t know where to go. We’ve got the full list of road closures as well as some additional resources here to keep you in the clear. And good luck to our running readers!